Things are changing in Myria. I’m not quite sure we’re experiencing an end of days, but we’re definitely seeing a beginning of new times. Fall of Argenport seems to have some new design directions, as well as a greater emphasis on things we have seen in the recent past. We now have a good idea of what the set is about and so far, it looks like a very important set with a lot of playables, splashy cards, great mechanics, and the best storytelling and art we’ve seen to date! Many other writers and streamers have done an excellent job of covering the mechanics and specific cards, so today, I want to talk about the big picture of what’s in Fall of Argenport. It’s not a mechanic or a feature, but it’s quite clear that we’re seeing a slew of potent cards that are going to change the way we play both for the set and for the future of Eternal. New units like Teacher of Humility and the Merchant cards (see further below) look like obvious mainstays for their respective factions. We’ve also seen spells and relic weapons such as Rindra’s Choice, Jawbone Greatsword, Aerial Battle, and End of the Story which will have a tremendous impact on how decks can deal with threats and how the metagame “ecosystem” moves around as a whole. I’m quite partial to Rindra’s choice in particular, as it accomplishes two very important things: its an excellent removal spell for multi-faction units (which previously had few good answers), and it is a negate that will see a lot of play thanks to the powerful first option. Fall of Argenport is giving us a lot in the way of making decisions, both in how we build our decks and how we play the game. The most obvious case in both of these categories are the Merchant cards, which give us access to a miniature side-deck in all forms of play. Playing these cards force you into several decision points: do you put more narrow cards in your Market, such as Ruin? Or do you focus more on putting in cards that help your main strategy, such as powerful 4-cost cards that curve perfectly after you play your Merchant on turn 3? When you play it, you also have to swap a card, forcing you to decide what’s more important at that moment. It’s also a may effect, meaning you can choose to not do it at all. Is your perfect hand worth spoiling? Sometimes, you might just want that 3/3 Overwhelm for 3 and forgo the option of going to market. Maybe you even put a card you do like from your hand into your market to re-grab later with a different Merchant if you know your opponent is about to try and discard it! There is so much going on with the Market mechanic and it is definitely going to reward skilled play. Meanwhile, some of the other mechanics from Fall of Argenport also have choices baked into them as well. Berserk is a very interesting unit mechanic that allows you the chance to attack twice with a unit during combat in exchange for gaining the Reckless ability. Gaining Reckless is not always a downside, but it is significant enough that it will have times where it matters. This will give you many choices: do I go Berserk now in hopes that my opponent doesn’t have a bigger unit to play next turn? What if she had it and is holding back to get a profitable block after I go Berserk? What if I don’t care? Is the immediate damage or attack triggers important enough? I tend to find these types of decisions very rewarding to play with. We haven’t seen a true combat mechanic since the release of the game, and more options in combat make the bulk of gameplay deeper, more interesting, and in my opinion, more fun. I would not be surprised if Berserk stuck around for more sets to come, much in the same way we are seeing the return of several other mechanics. We haven’t seen too many incredibly strong Berserk cards yet, but I suspect there are a few powerful ones they’re hiding until release. I’m also looking forward to all the ways we have to put Berserk on other units. 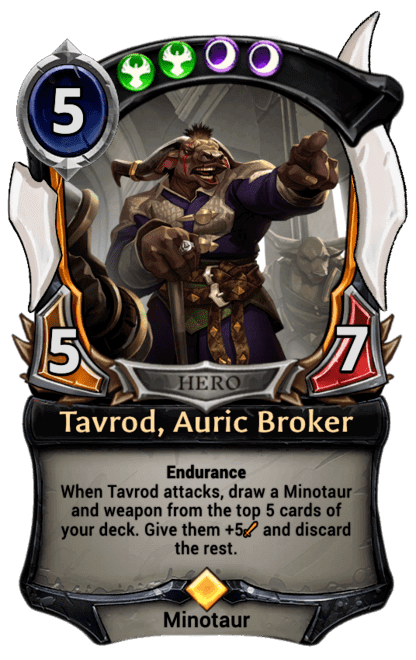 Berserking Tavrod, anyone? The newly spoiled Spellcraft also features making choices. Each card with Spellcraft allows you to play it for its normal cost or an increased cost with a spell added in. Sword of Unity is quite playable on its own and will often be correct to play for 4. However, a Stand Together built into the card—not to mention the cheaper cost—is highly appealing. 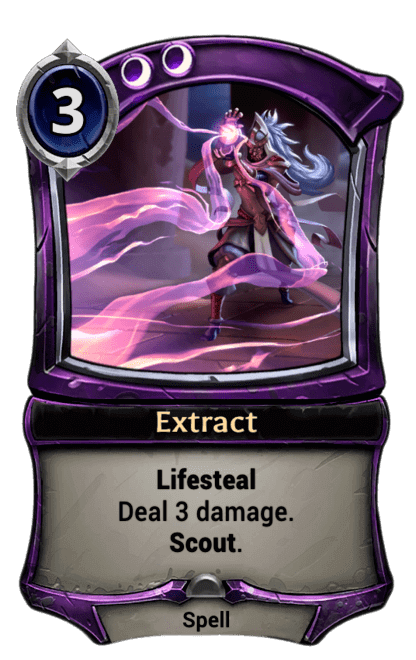 We also know Spellcraft will be on Relic Weapons, which is very exciting given their slight absence from the metagame in Dusk Road. Overall, I think these mechanics are among the best we have ever seen in the game. The past two sets have seen the full spectrum with their mechanics, with some huge hits like Warp, huge misses like Mentor, and some in the middle like Bond and Ally. However, every mechanic in this set looks absolutely incredible: Tribute, Berserk, Spellcraft, Inspire, and the Market. All of them offer some combination of skill testing or interesting build-around options. In addition, we’re seeing the return of some of the best mechanics in Eternal, Warp and Infiltrate, and in both cases, they’re no longer being restricted to the faction pair they were originally built with. Though I was excited for Dusk Road, I was not as happy with the overall usage of the mechanics as well as the trends of the metagame. Fall of Argenport looks much more hopeful in both regards. The metagame is about to experience some very big changes with powerful and fun-looking cards all across the spectrum. Draft will likely be a lot different with the implementation of curated packs, which promise more cohesive formats and the ability to change them when things go awry. The lore has expanded significantly, going from a somewhat blank game with little background to an evolving world with new stories every few weeks. And in the big picture, Eternal is getting official competitive support and its formal release. I think we’re seeing a bit of a new era in Eternal, and I’m really excited to play with Fall of Argenport and see how the game continues to develop with its release. Besides the incredible artwork, Copperhall Bracers looks like it is going to deliver a beating. On its own, it gives a unit +4/+0 and a free invulnerable attack. If you have a board of other units, it grants a full team alpha-strike, which can be incredible for breaking board stalls and closing out a game. This is a much more aggressive Justice card than we have seen in a while and I bet it will see play in some decks, perhaps some sort of Rakano Plate or a weapon-based Combrei deck that seems to be getting a lot of support. Like many people, I didn’t know fully how to view this card when it came out. After thinking about it for a while, I think it’s pretty good so long as you can adapt to it. The closest comparison is Black-sky Harbinger, and that card has beaten me more times than I can count. Reckless is definitely a downside, but I suspect that it’s not a big enough downside that either can’t be managed or will not matter in enough matchups and situations to make Rizahn a bad card. Beyond that, it’s a 5/4 multifaction Flying, Lifesteal unit for 6 that Extracts on summon. Seems pretty playable to me. Even if it isn’t, I still like this card a lot: cards that are difficult to evaluate and have differing opinions among many players are among my favorite cards in the game, as they create debate and help us all get better. I don’t think End of Hostilities is going to be a format warping all-star, but I do think it’s a lot better than people are giving it credit for. Unlike Mirror Image, this card clones any unit—mine or my opponents. If there is anything I’ve learned from playing with and against Madness/Combust for the past six months, it’s that being able to use your opponent’s units for your advantage is a big deal in this game. I’m happy to pay 6 to clone my opponent’s freshly-warped Heart of the Vault, or copy my best unit on the board to seal my winning position. The fact that it has warp makes it much better, as Warp makes cards dramatically more playable. The card is already worth considering on these merits alone, and then there is the chance of getting Tribute and making two copies. I can definitely see it as a role player in larger Primal-based decks. I already mentioned her before, but Teacher of Humility looks awesome. Time traditionally has not had large units under 4 power, so this card is both powerful and a shift (or at least a deviation) in design. The game was once ruled by a 3/3 for 2 (even though people falsely blamed Oni Ronin). While a lot has changed since then, I still think Teacher of Humility is going to be instilling in people the apparently virtuous path of getting beaten into a pulp. That’s not even including the really spicy part of this card: Disciplinary Weights. If it works the way it seems, then it only punishes every card that isn’t your normal once-per-turn card draw. It can end up not mattering a lot by hitting power or destroyed with relic removal, but just it’s existence is sure to keep control decks and combo shenanigans at bay. I expect Teacher of Humility to be used in basically all Time decks excluding low-unit control decks. Some people seem to think this card is not that good—that it’s just a glorified Magma Javelin—and I think those people don’t play decks with Fire very often. It’s 5 attack kills all non-Sandstorm Titan cards at 4 cost and under, which is a big deal for a faction whos removal options are about as plentiful as water sources in the desert. As a relic weapon, it also serves double duty as a big threat into an empty board. Fire has struggled playing against Harsh Rules and other board wipes for a while now due to its lack of Aegis units. Getting to play this before you suspect a sweeper is one of the best things you can do, as it allows you to keep the pressure without getting blown out. Lastly, Jawbone Greatsword comes with a huge late-game unit if you can activate it with Tribute, which I suspect will be easier in Fire than other factions. For almost a year now I have been saddened by the loss of pre-nerf Charchain Flail, and now, I finally have access to a solid relic weapon in Fire. That’s all for today! Be sure to check out my own spoiler article if you haven’t yet already. 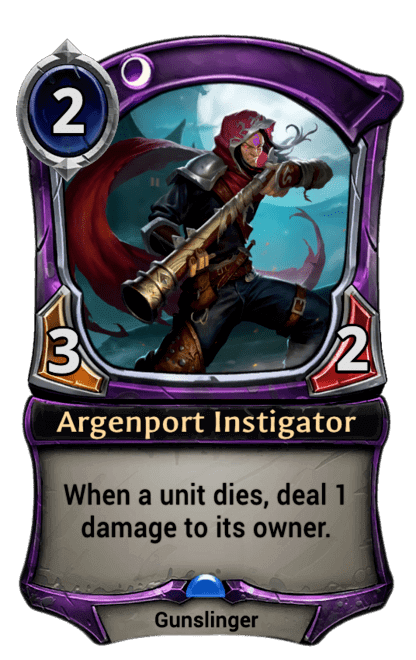 What are you most looking forward to in Fall of Argenport? Let me know in the comments on Reddit or Twitter!